In the lineage of Thanchavoormadom, Dr. Sreedhara Sasthrikal is the present administrator and curator of all antiques of Thanchoor Madom. 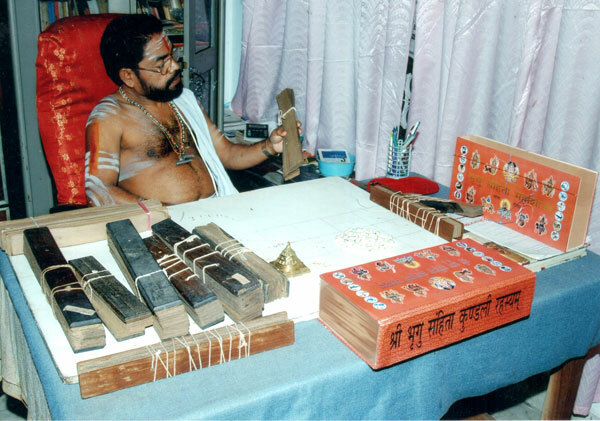 From the early stages onwards he bestowed ardent inclinations towards Vedic studies and spirituality. 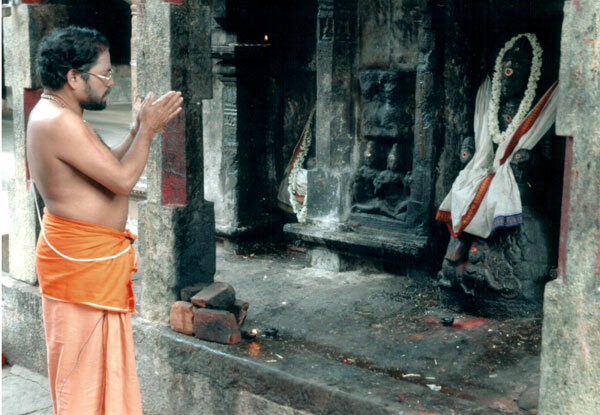 The present preceptor Dr. Thanchavoor Sreedhara Sasthrikal is, traditionally trained (in Gurukula systems) and imparted with sidhantas and Samhitas. He is a classically trained predictive astrologer, especially in the branch of horary. From his research, he found 51 karmic causative factors for the root cause of every evil effects and irony of life. This was against conventional cult of Kaarana Panchakom”, the five causative factors, stipulated by Shad Darsanas. By this new finding he could do a deep analysis on discontentment of man. In these new findings, he makes correlations with the Karmic causes of all eveil effects deposited in the soul, with that of the “AksharaBrahmas” ie alphabet of Sanskrit language. The Yoga Sasthra allude that fifty one letters are metaphysically deposited in fiftyone petals of “shad aadharas” of every human body. In search of the cosmic influences of this deposits (with reference to Yoga sasthra) and it’s time bound nemesis the ultimate nemesis of man with their cosmic inputs in Shad-Aadharas with reference to Yoga sasthra. By virtue of his new findings on metaphysical causative factors and karmic cleansing, it is proved beyond doubt that the demolition of evil effects and relinquishment of past deeds can be done effectively with certain Thanthric invocations. He also holds Master’s degree in Astronomical Science and Doctorate in Medical Astrology (Alternative Medicine) from Kazhakisthan University. For the last 25 years he has been delving deep into Indian Vedic Astrology , Ontology, Yoga, and Thanthra sasthras. With the analysis of causative factors of all diseases, it is found that evil effects, diseases, and poverty and hostility are deeply related with unethical deeds in the previous birth. Here arises the question ; where the boundary line lying.